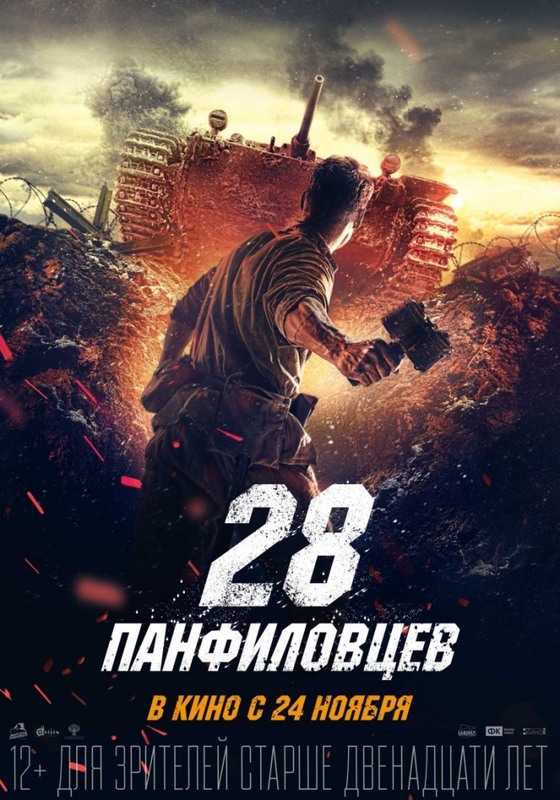 28 Panfilovtsev (28 панфиловцев) is a 2016 war drama directed by Kim Duzhinin (Ким Дружинин) and Andrey Shalopa (Андрей Шалопа). 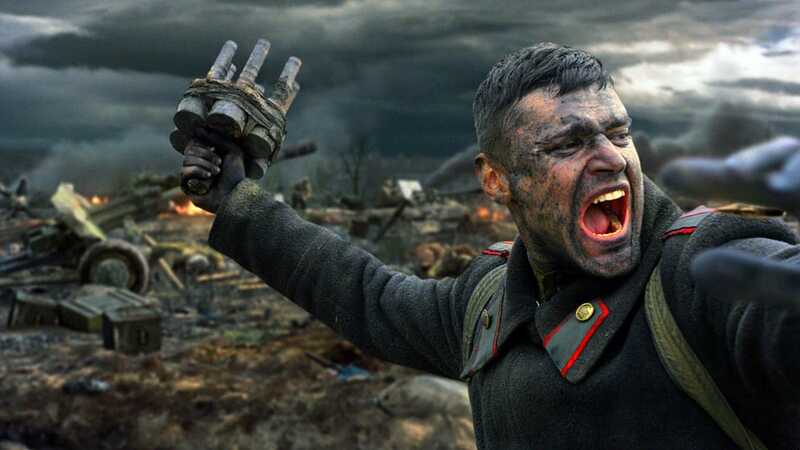 The initial money for the film came entirely from crowdfunding, from which the directors raised more than 34 million rubles, making it one of the most successful crowdfunded film projects to date. Recently, 28 Panfilovtsev has also received funding from the Russian and Kazakh governments, as well as Gaijin Entertainment. The film premiered on November 16, 2016, in Volokolamsk, Russia. The film is a portrayal of a legendary group of Soviet soldiers during World War II. In November 1941, 28 Red Army soldiers from the 316th rifle division under the command of General Ivan Panfilov (these men are referred to in Russian as panfilovtsi, hence the film’s title) defend Moscow against 54 tanks from a German Panzer division over the course of several days. The soldiers are armed only with standard-issue rifles, machine guns, and other inadequate weaponry, yet they fight valiantly to the death in defense of Moscow and the Soviet state. The film begins in 1941 as Red Army soldiers are training to defend against German tanks using wooden models. Soon, having received intelligence about German movements, Commander Reshetnikov asks his troops to defend the road to Moscow against three approaching German tank regiments. The German force is larger and better-equipped than the Red Army battalion, so the Soviets’ first strategy is to set up a line of dummy defenses, which succeed in drawing fire from the Germans. The Panfilov battalion soon engages in a battle in which several German tanks are destroyed. However, after a brief reprieve, a renewed German assault destroys the entire Soviet artillery battalion, leaving only Panfilov and 28 soldiers alive. The remaining Red Army soldiers go into battle once more with the German tanks, withonly two antitank guns, grenades, and some Molotov cocktails. At the end we find a scene of a snowy field, filled with 18 immobilized German tanks and the remaining panfilovtsi ready to fight the Germans with bayonets. The German commander, surveying the scene, orders a retreat, at which point the remaining six panfilovtsi rise from their trench and freeze, turning into the memorial statue that stands at Dubosekovo today. Zach Hicks is a PhD student in Comparative Literature at the University of Oregon. He is currently participating in SRAS's Home and Abroad scholarship program. His main areas of interest are twentieth-century Russian and Soviet literature, socialist modernism, and critical theory. Outside of academics his major interests are martial arts, the outdoors, and music. In Russia, he plans to continue to increase his language proficiency, to learn as much as possible about the Russian underground music scene, its tattoo culture, and to become a student of Russia’s native martial art, SAMBO.